Corel Painter Essentials 6 is the photo painting, drawing and painting software. Easily sketch, paint and turn your photos into paintings with this creative home digital art studio. A wide selection of brushes, paints, pens and paper textures lets you add unique touches to photos, create cards and scrapbooks, and complete other fun projects. 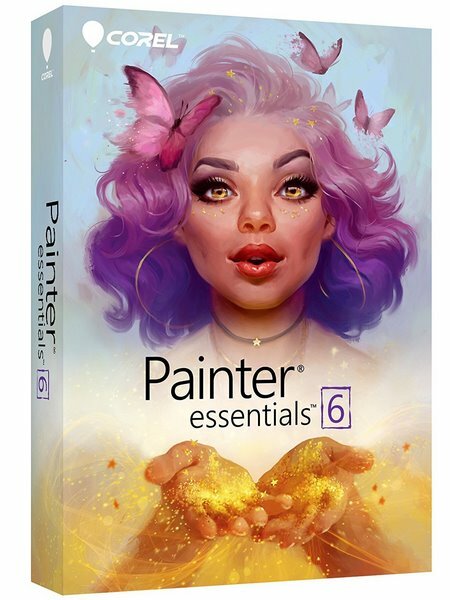 Corel Painter Essentials 6 is based on Corel Painter, the world’s most powerful painting and illustration software. If you want to do more than just edit and print your photos, Corel Painter Essentials 6 is the ideal way to get started with digital art. Create a painting from a photo in just 3 easy steps. Sketch or paint on a blank canvas to produce an original image, and add creative elements to any digital project. Corel Painter Essentials 6 makes it easy to create amazing art at any skill level. Easily sketch, draw or paint on a blank canvas with award-winning Natural-Media brushes that are custom selected for beginners. Discover unmatched photo-painting and cloning tools that will transform your pictures into impressive art right before your eyes. Explore a wide variety of painting styles, brushes and photo effects that let you create an authentic, hand-painted look every time. It’s the most natural way to show your unique personality and style.